Available in the automotive market are three types of scan tools namely; OBD 2 Generic, OBD 2 Enhanced and Factory scan tools. These scan tools are unique from each other. Some work better than others. The slight difference between OBD-II generic and OBD-II enhanced scanners is that generic scanners provide emissions-based information only. As far as the data you get from the scanner is concerned, the biggest difference between the generic and enhanced is that the enhanced version will include some bidirectional tests that the generic will not. Bi-directional tests mean that once you connect the scanner, you can form actuator tests or adjustments. Actuator tests allow completion of an action on the vehicle using the scanner, for example, turning the headlights on or blowing the horn. Using a scanner with bidirectional capability, you actuate the car components as you test the cause of failure. 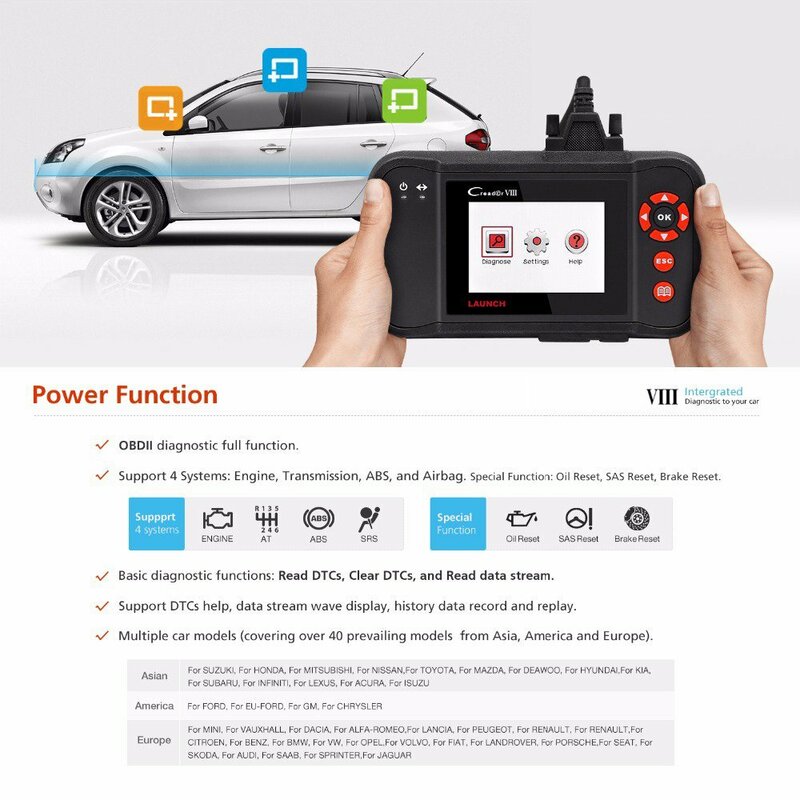 These scanners are endless, but I would recommend an OBD 2 enhanced scanner to give you a wider range of features, diagnostics, and solutions. To experience the best performance from a scanner, you will need to evaluate different functionalities on the scanners at hand and choose the best. Your best choice will be in regard to a few factors. Below is the list of factors and the breakdown of what exact attributes you should take from these factors. In choosing a scan tool for your vehicle, I would recommend that you first make sure that your vehicle model will be compatible with the scan tool you are buying. I wouldn’t want you to make a hasty selection at all, but this here will help you make the best pick. Most of the scanners have compatibility to several models, but it might just not suit your car model. 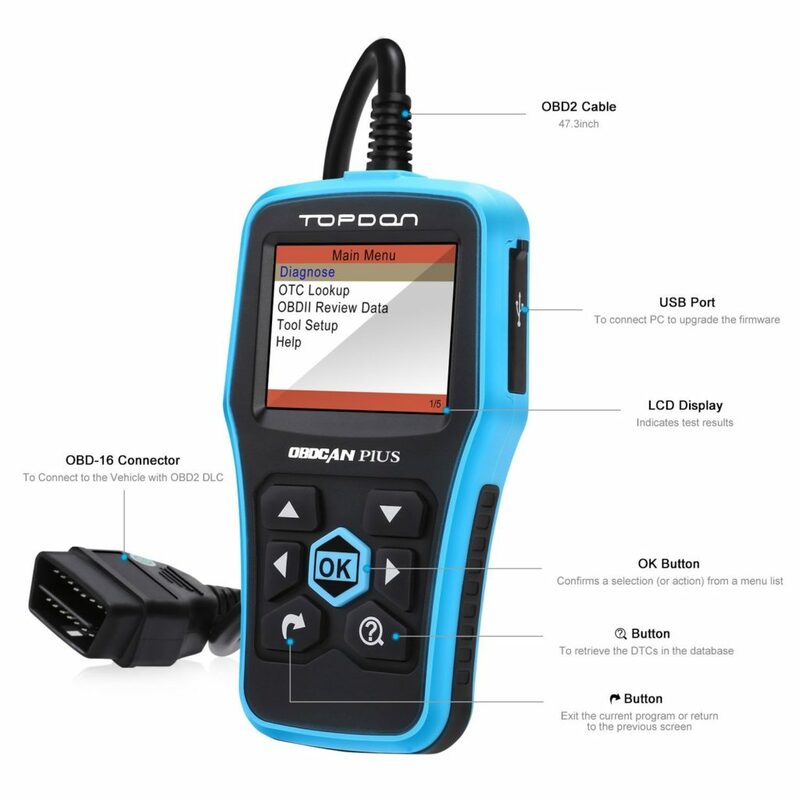 That faulty scanner you may have bought sometimes back will not be a reason you will not buy one of these OBD 2 scan tools. These scanners are there to last a lifetime of your car driving. Some may even be update-ready once you require some of their functions to expand. It will serve you well and longer once you get the right one. Battery durability would also be an important factor to consider. A sturdy construction aids in giving the scanner durability and in the end feel like a worthy investment. Don’t go for a scan tool that will prove hectic to use or even will be past your capability to comprehend its mechanism rather go for a simple gadget that performs to its specifications-one that will be easy to solve that check engine light and even do more with ease. A simple design will be good for DIY use. Some of the more enhanced models fit professional use, and they find no trouble operating them so it's up to what task you want to do with the scanner. Don’t tear your pockets and wallets trying to reach something out of your financial ability at that moment but again don’t go for a cheap scanner that will not even see two nights before failing. Your critical evaluation here will be your savior so that you will not strain financially and still will get the best scanner in that store. Choose the best within your capability. Scanners for professional use will demand that you give more and in return you will get more. A multilingual scan tool will be by far more favorable than a two language tool. Depending on the language(s) you are fluent or good at select a scan tool that you will manage to use without problems understanding it. I would recommend a multilingual scanner since it can be used by more people altogether. Getting the scanner with a language, you do not understand means you will do absolutely nothing with it. These scanners are making numerous sales. Car owners are starting to appreciate the need to own one. As it is business people are opportunists and with the slightest chance of making money that comes they take it. Mostly they are not conscience on the quality of the product but making money. That is why you are likely to find copycat products that are of the lowest quality and then start crying of the manufacturer playing foul. To evade that you need some advice on just which of these scanners are the best? These are legitimate products that are from reputable manufacturers. The number of times that people end up buying a bad equipment or device out of lack of information is countless. So take this information that will help you make the right pick of the best Obd 2 scanners. I recommend these scanners as a first choice before you consider anything else. This scanner by Innova rises above the cut when it comes to on-board diagnostics. For example, have you seen another scanner that would freeze frame at that time the engine light shows? Innova 3100j also shows engine conditions such as fuel trim and engine coolant temperature just but to name a few. It quickly reveals the cause of that check engine light warning that is bothering you, reads and erases anti-brake system light trouble codes for most vehicles even hybrids. Whatever you want to do for example check the status of your car battery and alternator then this scanner will do exactly that and check their performances. For emissions, the Innova 3100j has three LEDs; red, green and yellow to indicate emissions monitor status. With as simple as a button push, it reads and erases check engine light in any car, minivan, light-truck, SUV and any hybrid manufactured after 1996 both domestic and imported. Innova scanner will out rightly empower you as the user in vehicle repair and maintenance. When I talk to someone, I want them to talk back to me and keep the conversation going. The MaxiTPMS from Autel has both visual and audio responses to confirm that the sensors are working well. Yes, plug it in, and you can easily listen to the audio. If my eyes were a bit not too good, I would go for this for better results while using it. Get this scan tool, and you will enjoy a full year free upgrade on the internet using a USB cable. It is as easy as that. The MaxiTPMS activates all magnetic, frequency and tire deflation triggered sensors using 125 KHz continuous and modulated wave signals. It as well receives both 315MHz and 433MHz signals. The scan tool operates well with temperature ranging from 0 to 50°C so don’t get worried about plugging it when that engine overheats. The Topdon scanner comes with a multilingual menu and data trouble codes definition in French, Spanish, and English. I have used other scan tools with trouble understanding but this one I assure you cannot give you trouble with all these languages. It is easy to use and also easily determines the cause of the check engine light. With the Topdon scan tool, you can turn off the malfunction indicator light, other sensor lights and view freeze frame data as well. It clears the codes and resets the monitor. I have seen this scan tool store & play back live PCM data stream and live sensor data and thus won’t be a problem remembering what the problem was while explaining to the mechanic. With its compatibility with 24 mainstream car models trust me it won’t fail you with that new model you own. This powerful tool from Innova ensures a fast diagnose on ABS and SRS codes on all 1996 and newer models. What makes it powerful is more than one reason. The Innova 3150i makes it possible to verify your cars repair completions as it refreshes data automatically after every 30 seconds when connected to the vehicle. Its battery backup memory provides off-car review and analysis meaning that you can view that data even after disconnecting the scanner. The scan tool comes with a canOBD2.com repair solutions to help in your cars diagnostics. This scanner by Launch will provide up to date maintenance for your car. It supports 40 car models from Europe, USA, and Asia. Ask yourself why is it that this model has a 4-star rating on Amazon? Because it is what, car owners are looking for, and it does not disappoint. With its Multilanguage feature, it can be used widely by different people with different languages. Again it can be upgraded online so as to keep up with the changing technologies. Imagine a sensor that can correct the steering angle sensor. Well, stop imagining that now because this scan tool can do exactly that and can as well reset the brake lock. The launch X431 can support all ten test modes of the OBD 2. You will also get to enjoy the use of the mode six utility. 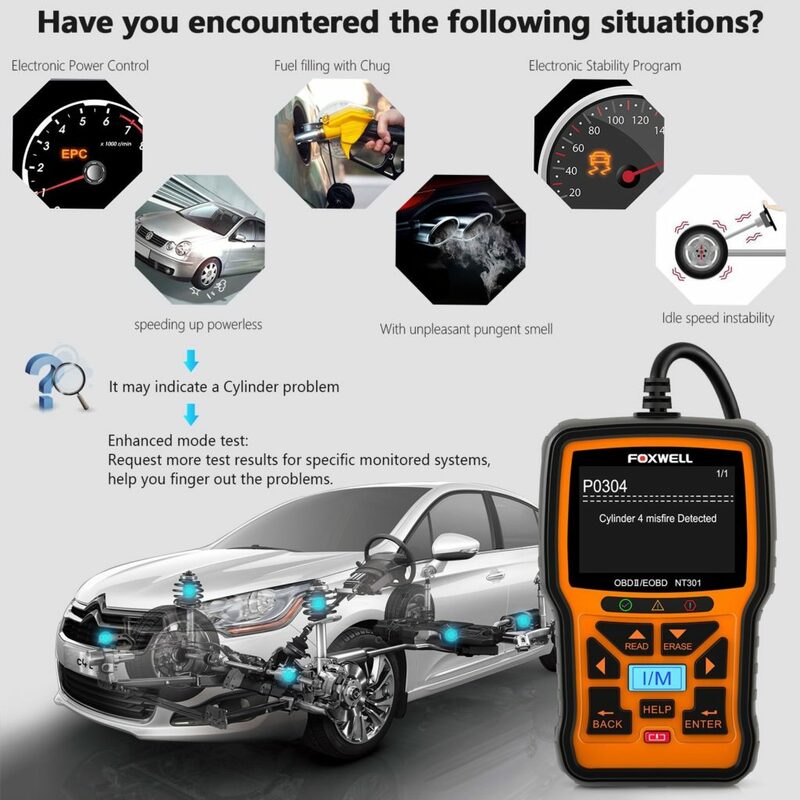 Foxwell Nt630 Pro Professional Engine/Abs/Airbag Sas Diagnostic Scan is an easy and quick way to locate that fault in your car. With this scanner, I diagnose the on board system and whatever the problem since I have some mechanical background I fix the problem and am good for fault-free rides. Do not get afraid that the scanner will frustrate you in any way. The design is such that if you are starting using the scanner, you will know your way around. To read the DTC information, there are easy to access keys. Once you finish reading and interpreting the code, you erase the code the hot keys. With the Foxwell Nt630 Pro Professional Engine/Abs/Airbag Sas Diagnostic Scan I can predict for potential faults. I get live sensor data, and the graphical form helps me tell if a fault will pop up at some time soon or the system is stable. The launch has an honorable award that appreciates their innovativeness. I mean launch is a leading producer that gives great products that embrace science and technology the best and so is the Launch CRP129 OBD2 Scanner/Scan Tool. A tool that protects you from abrupt faults that can make you sleep in the middle of an unknown place. With this scanner, you will know no dead ends for most of the available car brands. It covers all the popular models from the USA so unless your vehicle is unique this is the scanner for you. 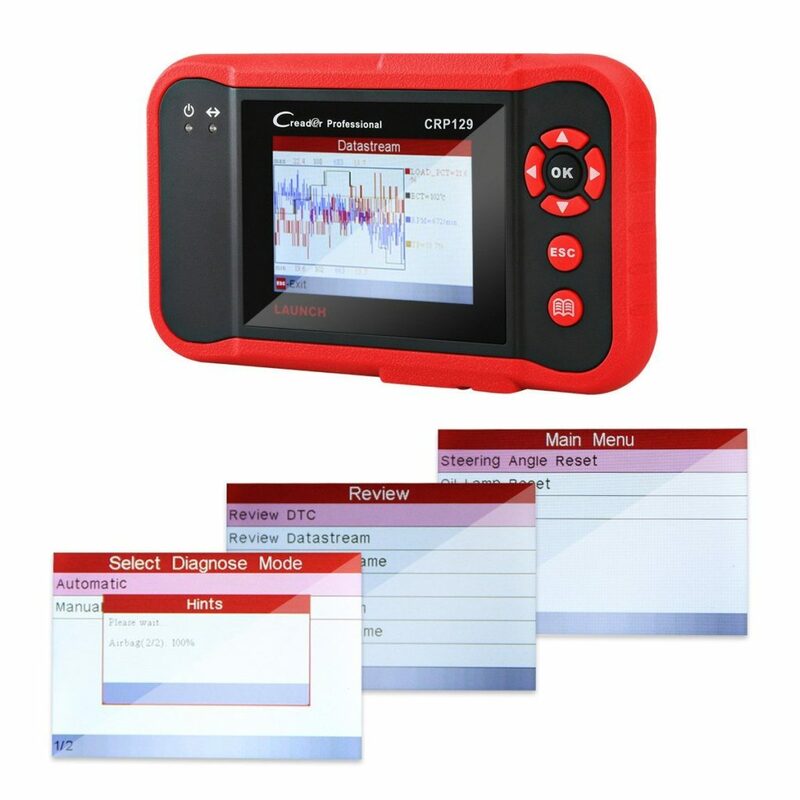 With the Launch CRP129 OBD2 Scanner/Scan Tool, I get the capability to diagnose my vehicle widely and extensively.Graphical data streams make it easy for easy analysis and monitoring of the system parameters that you will be adjusting. I value instant feedback so much, and this graphical interface of the scanner gives me what I want. If you want to, you can insert an SD card to save the data that you want for future references. 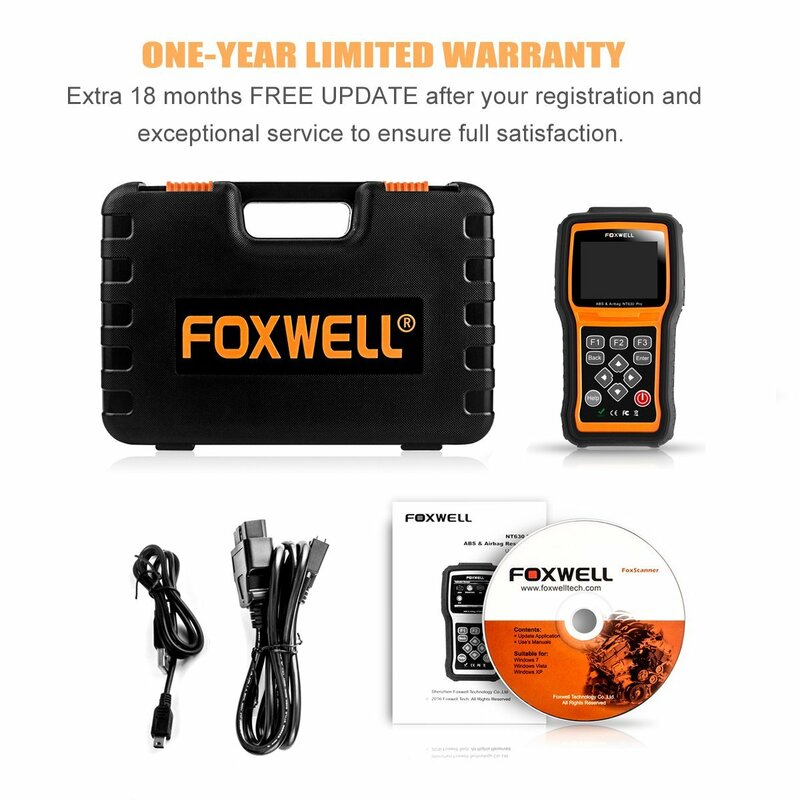 DIY Scan Tool FOXNELL Nt301 Check Engine Light Obd2 Scanner is another one from Foxwell. Right now it has not yet hit the mark where we can call it popular but believe me, it is on its way to popularity and why? It has features that match the very popular of these Obd2 scanners. There is a thing with being among the first to get a quality product, within a very short time the prices tend to hike. It incorporates a simple design I would say. You will get no trouble with its operation. Your scanner might give error messages while trying to run a diagnosis on some of your car brands but maybe all that you require for it to work is a simple update. The AutelMaxiDAS DS708 Automotive Diagnostic is a tool in a league of its own. This device is a super scanner, offers me a multiple of things that I can do with it. It is the complete package that you will need for professional use and do it yourself use if you can afford one. Using the AutelMaxiDAS DS708 Automotive Diagnostic, I scan my vehicle and using the recording and playback feature of this device I slowly analyze the data I record to pinpoint the fault. After you get one, the manufacturer allows you free access to the software updates for one year. I operate my scanner in both auto and manual modes. However I wish.The manufacturer gives a full one year warranty for this scanner. It comes with everything that I need so that I do not have to incur extra costs. For portability and storage, it comes with a carrying case. 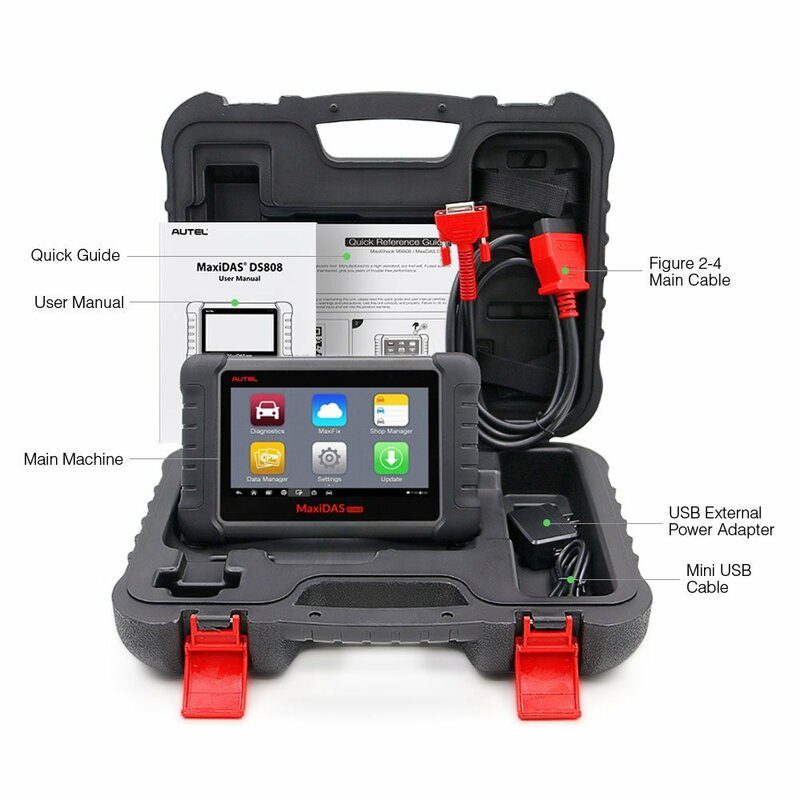 The Launch Creader Vii Plus Automotive Code Reader OBD2 Scanner from the very reputable launch manufacturer has the incredible qualities of launch products. This scanner covers a variety of vehicle from Asia, Europe, and the USA.I’m sure your vehicle is of this variety. 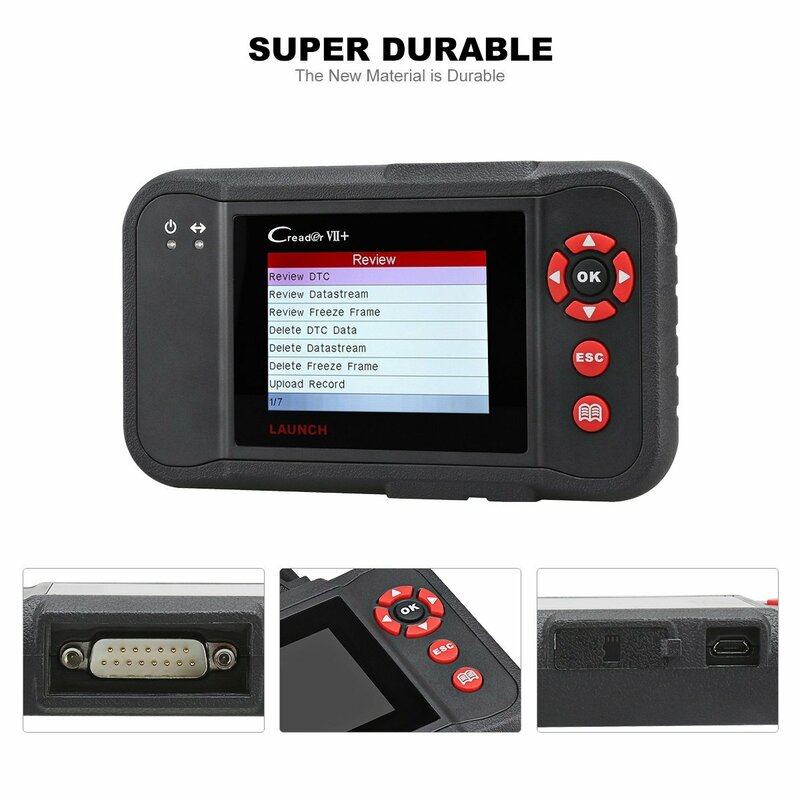 Having such a wide variety it would be a disgrace if it comes in a single language mode, the Launch Creader Vii plus Automotive Code Reader OBD2 Scanner has multiple languages, and it’s up to you to choose one that suits you. Registering the device is the easiest thing. The software is free making this a cost effective purchase. It is very powerful and takes care of all the vehicle diagnostics needs. To update the software, I do that using my PC. The software update is compatible only with windows XP or windows 7. To start up the diagnostics the manufacturer offers you an instruction manual so that you will not get stuck anywhere. The instruction manual is the fool proof measure of the manufacturer. This package has all the scanning features and at a very fair deal. With such a highlight and technical opinions, I know you definitely wouldn’t make the wrong choice. You have the power in your hands so make the best choice and give your car better repairs and maintenance to ensure it does not fail when you need it most. All these scanners work very efficiently, and you will find one that will meet your demands at a price point that you can afford.You can use these scanners for both personal and professional use and the fact that some cover a wide variety of vehicle models you will not have to find one for each model that you come across.